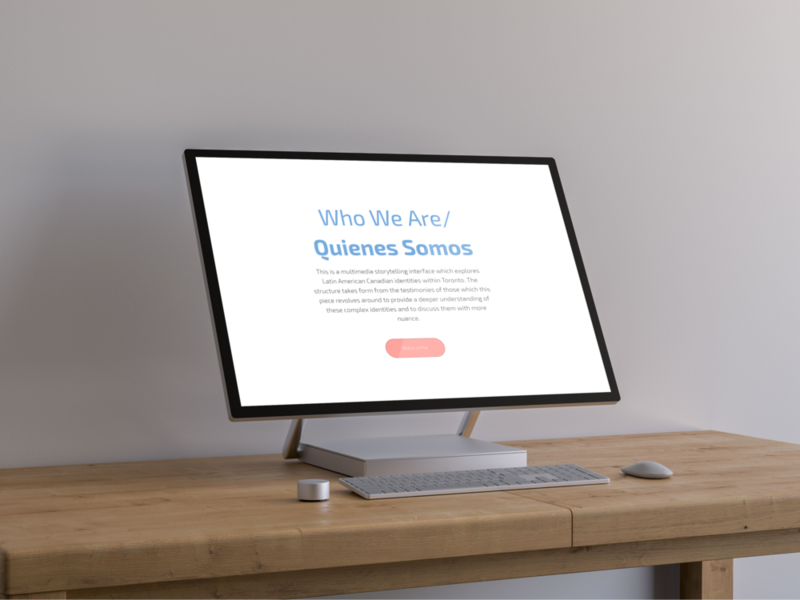 Who We Are/Quienes Somos explores how distinct cultures shift into Latin American Canadian identities beyond the first generation through one-on-one interviews. It seeks to uncover central characteristics of Latin American Canadian identities, what is gained and lost of the foundational national identities through the shift into these broader panethnicities, and how they are shaped by the small yet diverse Toronto population in which the research is conducted. 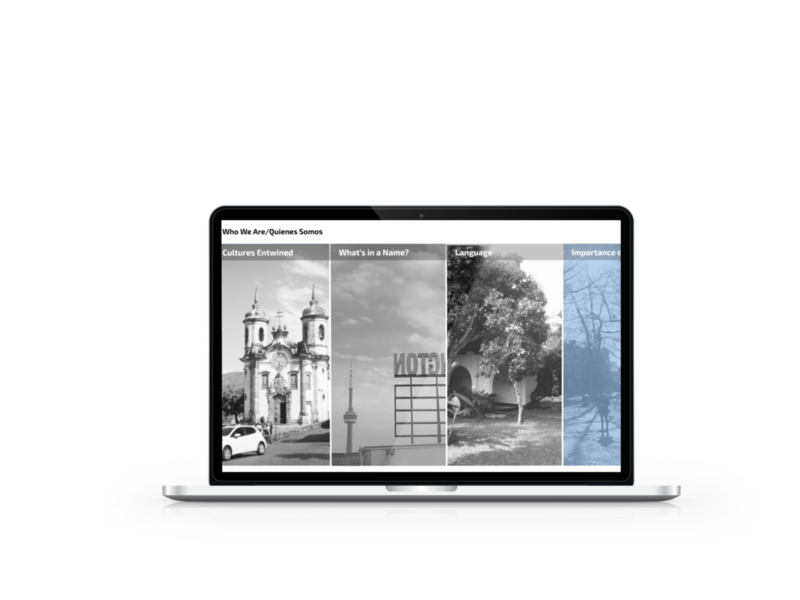 It then employs core concepts and cultural studies methods used throughout the research to create a multimedia storytelling interface which is methodologically and conceptually aligned in medium and experience. Emma Brito's practice lies in multimedia, interactivity, documentary, stories, and people. She weaves these elements together to create more complete, compelling, and engaging experiences. Her research explores this further through her web-based documentary which examines how the identities of second-generation Latin Americans have morphed and evolved in new contexts. Video interviews, visualizations, and an interactive map are combined to examine this subject-matter. Emma's background lies in Culture Studies and documentary.